Saudi Arabia's King Abdullah Bin Abdul Aziz last December called for promoting the Gulf Cooperation Council (GCC), including the Saudi kingdom, Kuwait, Bahrain, Qatar, the United Arab Emirates (UAE), and Oman, into a unified body, which has been described as a "super-state." The Saudis and the other GCC members are currently engaged in discussions intended to bring closer coordination, if not fusion, within the council. Regional ambitions by Shia Iran and the chaos in Syria are the main stimuli for such an enhanced Gulf relationship and possible complete unification. All six GCC members except Oman, the largest aside from Saudi Arabia, are ruled in the name of Sunni Islam. Oman is unique in following Ibadhi Islam, an interpretation that is distinct from Sunnism and Shiism. 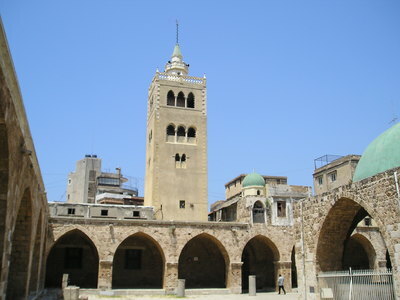 The 14th c. CE Mameluke Great Mosque of Tripoli, Lebanon -- Photograph 2006 via Wikimedia Commons. Syrian aggression has spread intermittently across the border into Lebanon, with Syrian irregular militia accused of kidnapping Shia inhabitants of the neighboring state, and Syrian military reported shooting over the frontier, killing several people. Armed conflict has reappeared in Tripoli, Lebanon's second largest city, between Shia and Sunni Muslims. Forty Syrian Sunnis allegedly have been kidnapped as a reprisal for the abduction of three Lebanese Shias. The UAE recalled its ambassador from Iran last month when Mahmoud Ahmadinejad visited the Gulf island of Abu Musa, claimed by Iran and the Emirates. Saudi authorities have repressed the Shia minority among their citizens, as the Sunni sovereigns of Bahrain have their Shia majority, and Sunni dominance in Bahrain has been enforced by the Saudi-led GCC occupation forces. Abuses against Shias in Saudi Arabia and Bahrain have fed Iranian propaganda around the world. Notwithstanding the threat of a wider Syrian-Lebanese upheaval, with Iranian intrigue behind the scenes, proposals for greater GCC integration have been nebulous. But most significantly, they include full merger of Saudi Arabia and Bahrain – which Bahraini prime minister Prince Khalifa Bin Salman Al-Khalifa described in Riyadh on May 12 as "imperative." Saudi King Abdullah has an unenviable task in addition to broader leadership of the Gulf states. The monarch must reconcile his absolute power, and the Wahhabi theological hierarchy which stands ostensibly behind it, with the reform measures that he has undertaken since his accession to the throne in 2005. Royal corrective decrees, and the debate over the nature of Saudi society, focus on women's issues. These include expanded educational opportunities for women, and, earlier this year, a proclamation that women would be allowed to vote and run as candidates in local elections to be held in 2015. The entrenchment of the Wahhabi caste in Saudi public life, however, presents the most serious obstacle to the changes King Abdullah has initiated. Wahhabi clerics are not alone in repudiating any alteration of the Saudi system. An anti-reform faction of the royal family is led by Crown Prince Nayef Bin Abdul Aziz, King Abdullah's half-brother, designated successor, interior minister, and an outspoken defender of Wahhabi prerogatives. Women living under Saudi rule face conditions widely-exposed as abhorrent. All women in the kingdom have had to contend with imposition of the abaya, or total body cloak, and niqab, the face veil; limited opportunities for schooling and careers; prohibition on driving vehicles; a ban on social contact with unrelated men, and compulsory supervision of personal activities, such as opening bank accounts, by a male family member or "guardian." In admitting women to the limited Saudi electoral process, King Abdullah provided that they could participate in the system without the permission of a "guardian." Wahhabi strictures have been enforced by the mutawiyin, or morals militia, also known as "the religious police," officially designated the Commission for the Promotion of Virtue and Prevention of Vice (CPVPV). The mutawiyin patrolled Saudi cities, armed with leather-covered sticks which they freely used against those they considered wayward. They assured that ordinary activities halted during prayer times, when they hurried Saudis into mosques, and that unrelated couples did not meet in public places. They raided homes looking for alcohol and drugs, and harassed non-Wahhabi Muslims as well as believers in other faiths. They killed people they detained. In January 2012, King Abdullah appointed a moderate director of the mutawiyin, Abdul Latif Abdul Aziz Al-Sheikh, to replace Abdul Aziz Al-Humain. Al-Humain, who was named to the post in 2009, was deemed a reformer; he reorganized the mutawiyin, met with human rights monitors, and consulted with public relations agencies. The new supervisor of the mutawiyin has expressed more advanced views – at least in Saudi terms – on women's status, including support for females to work in shops that sell female clothing, where only men were previously employed. In 2010, Abdul Latif Abdul Aziz Al-Sheikh backed an official in Mecca who denied that Islam requires gender separation or the closing of businesses during prayer. Within two weeks of his appointment, the new chief of the mutawiyin barred volunteers from serving in the institution, a move considered positive in curbing abuses by its members. Since "mutawiyin" is interpreted generally to mean "pious volunteers," this was a major gesture. In an example of the convoluted nature of Saudi political and religious affairs, Abdul Latif Abdul Aziz Al-Sheikh is a lineal descendant of the founder of the Wahhabi sect, Muhammad Ibn Abd Al-Wahhab. But as the royal family is divided over the future, so are the descendants of the Wahhabi founder, who have intermarried since the 18th century with the House of Saud. The latest mutawiyin overseer is a younger relative of Sheikh Abdul Aziz Ibn Abdullah Aal Ash-Sheikh, the Wahhabi grand mufti of Saudi Arabia, who recently advised the Kuwaiti followers of the Wahhabi "Revival of Islamic Heritage Society" that Christian churches should be removed from the Arabian Peninsula, including Kuwait. The "Revival of Islamic Heritage Society" was designated in 2008 by the U.S. Treasury as a provider of services to Al Qaeda and its affiliates, as well as for terrorist acts. The Kuwaiti government rejected the Saudi grand mufti's view, stating that Christians would not be prevented from worship, and churches would not be destroyed. Grand mufti Aal Ash-Sheikh elsewhere declared that Saudi women could be married at age 10 or 12, without their consent, by contract between families. Nevertheless, some amelioration of Wahhabi callousness was visible even before the change at the top of the mutawiyin. Women increasingly have resisted wearing niqab in Mecca, Medina, and Jedda, where the covering of women's faces was never common before the arrival of Wahhabism, and it is now admitted that in rural areas, women drive cars and trucks. Saudis observe that since the change in the leadership of the mutawiyin, fewer morals patrols are visible in the streets. 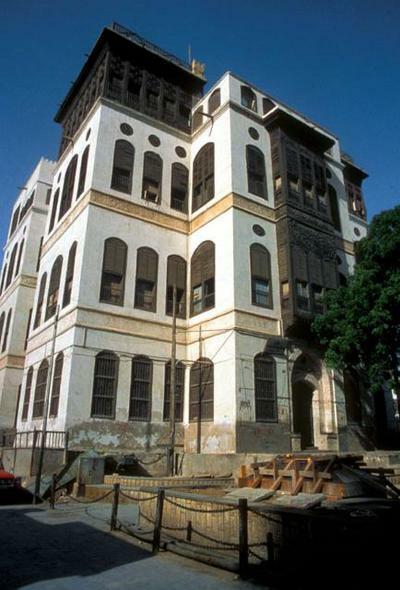 The Nassif House, 1872-81 CE, a classic of Ottoman architecture on Al-Alawi Street in old Jedda -- Photograph 1998 Via Wikimedia Commons. After a medical visit to the United States in March, Crown Prince Nayef addressed another aspect of the controversy over women's standing: whether Saudi women may take part in the 2012 London Olympics. Previously, Saudi women were blocked by their government from entering all international games, a violation of International Olympic Committee regulations against discrimination. But Prince Nayef told the influential Saudi-owned daily Al-Hayat, published in London, that Saudi women could participate in the Olympics, in sports that would "meet the standards of women's decency and don't contradict Islamic laws." Wahhabi resistance to Abdullah's reform program is not, however, to be disregarded. Prince Nayef's apparent concession to women athletes was followed by a stipulation by Saudi Olympic Committee president Prince Nawaf Bin Faysal that official endorsement would be denied to female participants in the Saudi Olympic team. In further evidence of Wahhabi intransigence, foreign Asian and African women working as domestic servants in Saudi Arabia continue to experience extreme degradation. In April 2011, the Indonesian government instituted a moratorium on immigration by its nationals to Saudi Arabia when a 54-year old grandmother, Ruyati Binti Satubi, a household worker from West Java, was beheaded by the Saudis for murder. 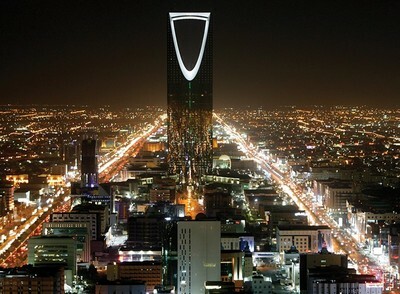 Saudi Arabia announced that at the end of April 2012, the exclusion of Indonesian domestic workers would be lifted. When Satubi was executed, 40 Indonesian women faced beheading in Saudi Arabia. By last month, 22 had been repatriated, while 25 more remained under death sentences. Still, King Abdullah is as persistent in his efforts to expand women's rights, as the Wahhabi opposition to it continues. Early in May, the king dismissed 81-year-old Sheikh Abdul-Mohsen Al-Obeikan, a Wahhabi adviser considered previously to be close to the monarch. Al-Obeikan had argued openly against improvements for Saudi women, in a radio interview denouncing Westernization and secularism, as "schemes by influential people to corrupt Muslim society by removing women from their natural position." After his removal, Al-Obeikan issued a Twitter comment in which he warned against "bad advisors" to the royal family. In 2010, Al-Obeikan was forbidden by King Abdullah from delivering fatwas (which are religious opinions, and not limited to death sentences as in the case of Salman Rushdie) on television. The royal order removing Al-Obeikan from regular broadcasting was described as part of a Saudi campaign to curb media and websites that specialize in "instant fatwas" without the approval of the state clerics in the High Authority of Religious Scholars. But Al-Obeikan had attracted attention earlier that year as the author of one of the more bizarre opinions in Islamic jurisprudence. He claimed that the Wahhabi-dictated separation between unrelated men and women could be avoided if a man drank the breast milk of a woman, establishing a family relationship between them. King Abdullah's outreach to Saudi women avoids such weird, Wahhabi schemes, but the transformation of the kingdom will not be accomplished until the Wahhabi sect loses its authority as "official Islam." As has been visible during the seven years of King Abdullah's reign, such an achievement will not be easy.